Buy Samsung Galaxy J3 Pro Flipkart. As you already know that Samsung's making awesome Smartphones with extra bunch of Features. Yeah, it's more expensive compared to the other smartphones but still there are so many fans of Samsung who don't think more to grab this amazing smartphone. 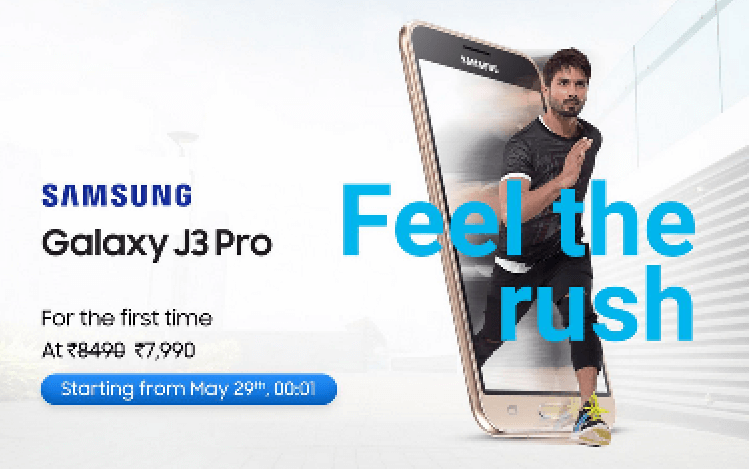 Now, the Samsung giving fabulous deal if you're looking to buy Samsung Galaxy J3 Pro. The Actual Price of this Smartphone is around Rs 8,490. You can grab this deal only at Rs 7,990. Samsung Galaxy J3 Pro one of the best version of J Series. Just Because it's good budget smartphone Compared to other series Like; A Series, Edge Series, etc.